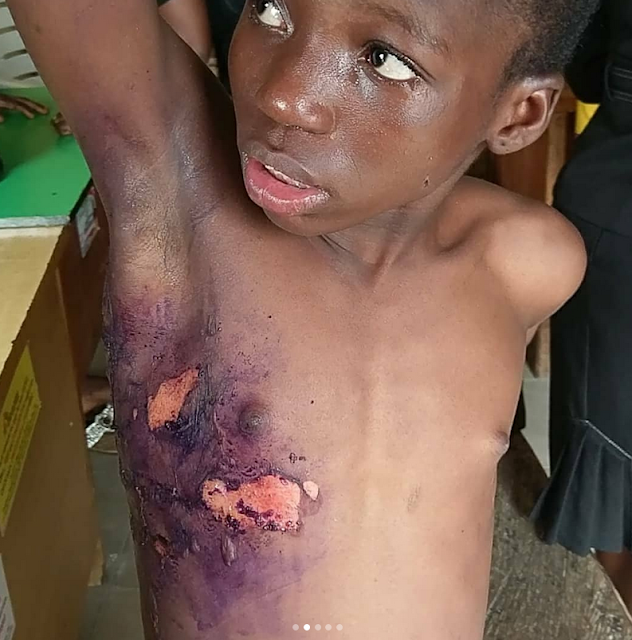 Gists 31-Year-Old Woman Pours Her 13-Year-Old Housemaid Hot Water And Uses Belt To Flog Her On Same Spot! 31-Year-Old Woman Pours Her 13-Year-Old Housemaid Hot Water And Uses Belt To Flog Her On Same Spot! It was reported that a 31-year-old woman,Identified as Christiana Eze has been apprehended by the International Federation Of Women Lawyers, FIDA, for maltreatment of a 13-year-old house maid. 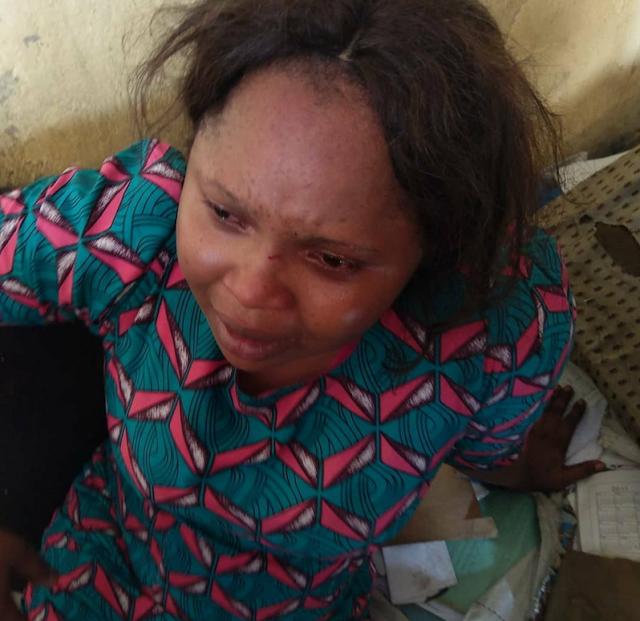 It was reported that Christiana Eze poured hot water on her 13-year-old house maid identified as Beauty, for allegedly sleeping on her couch in Port Harcourt, Rivers State. 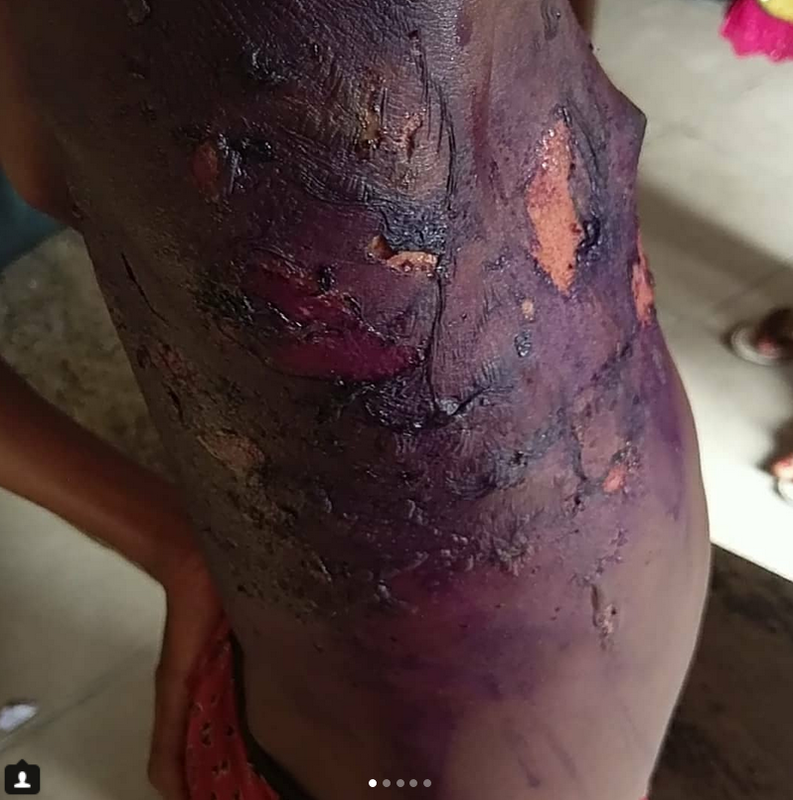 Previously,it was reported that this kind of incident happened in Akwa-Ibom state where a mother used hot iron on her daughter for allegedly stealing N200, it seems that most woman are going wild on people living with them.Meanwhile this incident occurred on the 3rd of July, 2018. It was gathered that Beauty (the victim) often sleeps on the floor but decided to sleep on the couch that fateful day due to cold, her sleeping on the couch provoked Christiana, so she decided to pour hot water on the poor girl. Christiana allowed her housemaid to attend school on that condition the following morning, Beauty's teacher being observant noticed the development and filed a report against the suspect. Beauty, is from Edo State, she accused Christiana of pouring hot water on her and using belt to flog her on the same spot she poured the hot water on, till her skin pilled peeled off. It was gathered that Christiana's neighbours attested to the issue, reporting that for the last two years of the girl has stayed, the girl has known no peace with Christiana, she knew nothing but torment and torture. Even the security man also revealed that he gives Beauty food sometimes, because she eats once a day. Investigation further revealed that the girl doesn’t have a room in the house and her luggage is kept under the staircase, from where she dresses up. Parents be careful, don't just give out your children to people, assuming that they are in good hands.